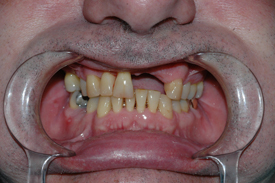 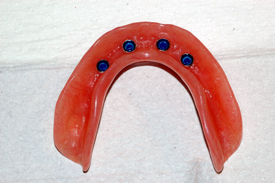 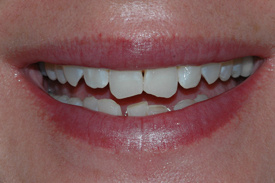 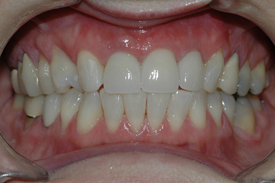 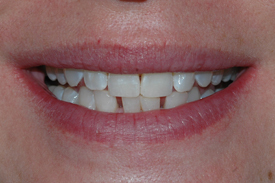 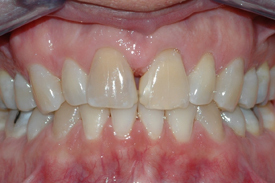 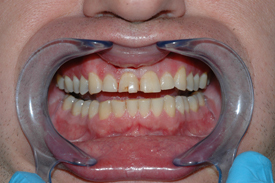 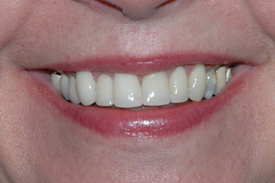 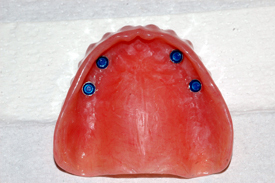 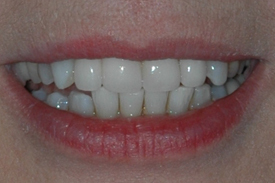 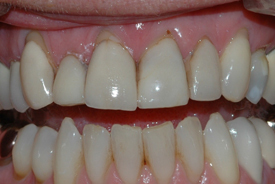 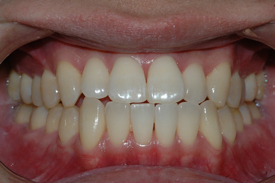 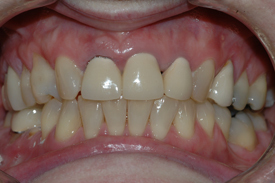 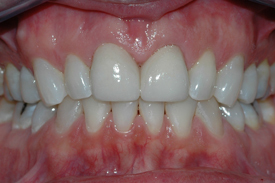 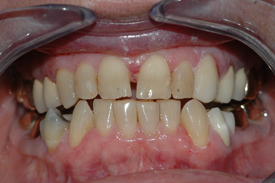 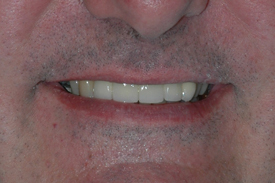 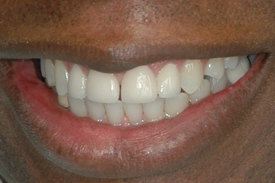 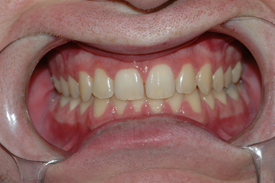 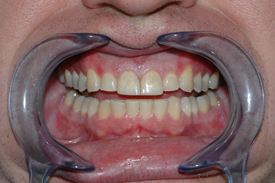 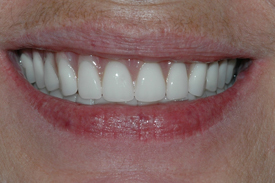 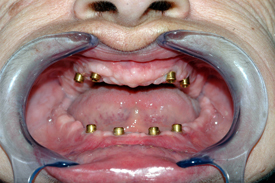 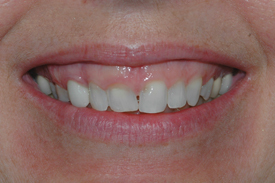 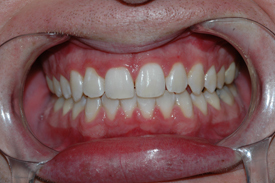 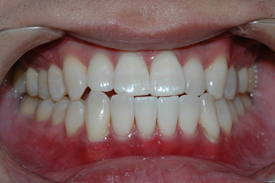 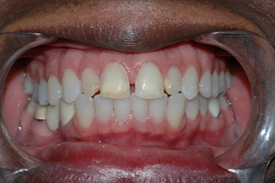 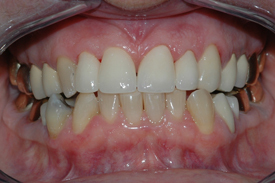 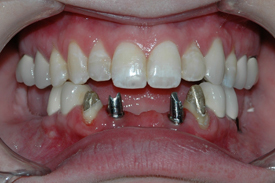 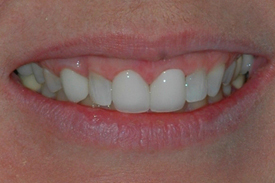 Patient C: This patient disliked the appearance of her upper front teeth. 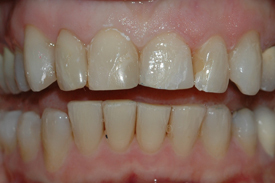 The front four were badly shaped with very large old tooth colored fillings in them. 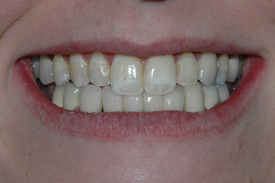 Zoom In-Office bleaching was used to whiten all her teeth and then four porcelain crowns on the front teeth completed her smile makeover.